We would like to invite all of our uniform industry friends and clients stop by our booth at the Uniform Retailers Association Show – 09/25 – 09/27. We are in Booth #401A. 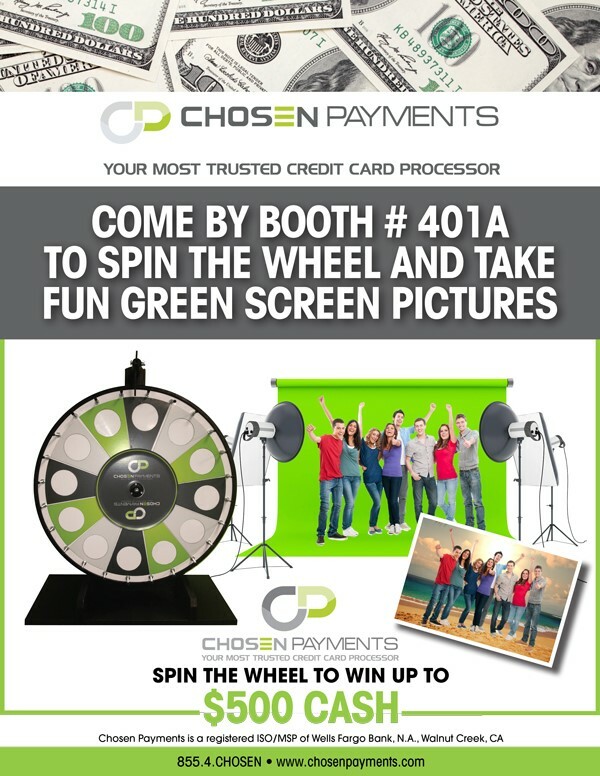 Come give our prize wheel a spin or take a really cool souvenir photo using our green screen. Come meet our CEO, Jeff Brodsly and staff, Sarah McKee (VanBeek). Derek Maxwell and Michael Lepore. Chosen Payments is proud to serve Uniform Retailers and our partnership with Uniform Market, software that syndicates suppliers brands to their sales channels and online store (b2c and b2b) for retailers that is current with their supplier’s data.